A Federal Court judge has rejected a lawsuit against the federal government by a former sailor who claims his debilitating lung condition was the result of mould exposure aboard two Canadian warships. Retired lieutenant Alan Doucette of Moncton, N.B. filed the claim last December. A judge recently tossed the case, saying the former officer already had received benefits from Veterans Affairs Canada. His lawyer, Brian Murphy, said the decision will be appealed. Doucette served on older destroyers that have now been decommissioned, but the navy has been working to contain the problem of mould on its frontline frigates. 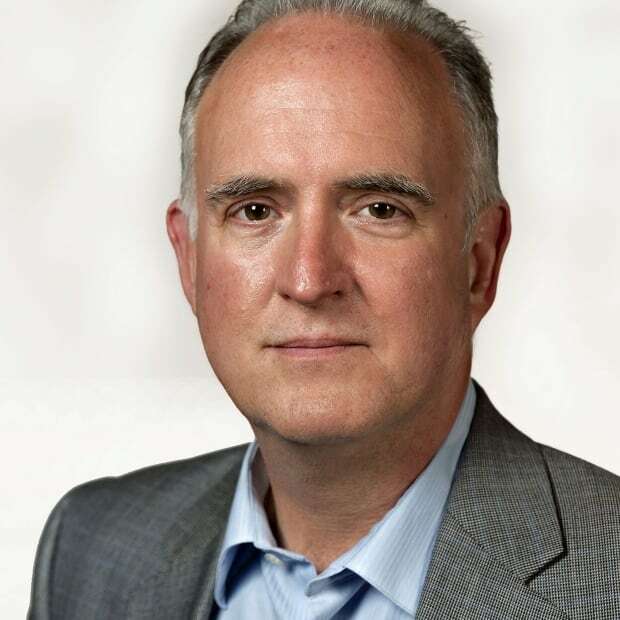 In an interview with CBC News, Doucette said he is not giving up. 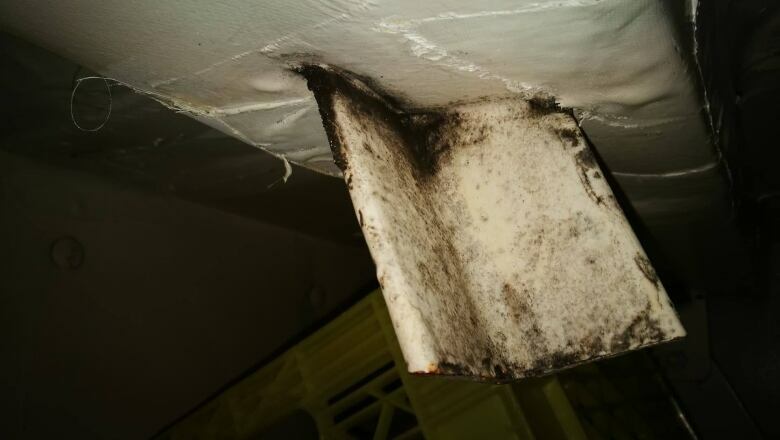 "It has been well documented for many, many years that black mould is harmful to humans but, you know, they kinda turn a blind eye and try to cover it up as best as they could," he said. "It is something they should be held accountable for, what they did, and what they continue to do in a lot of these ships." Doucette was medically released in 2012 and granted benefits when Veterans Affairs acknowledged his exposure to "volatile organic compounds," including mould, resulted in his ongoing breathing difficulty and health problems. 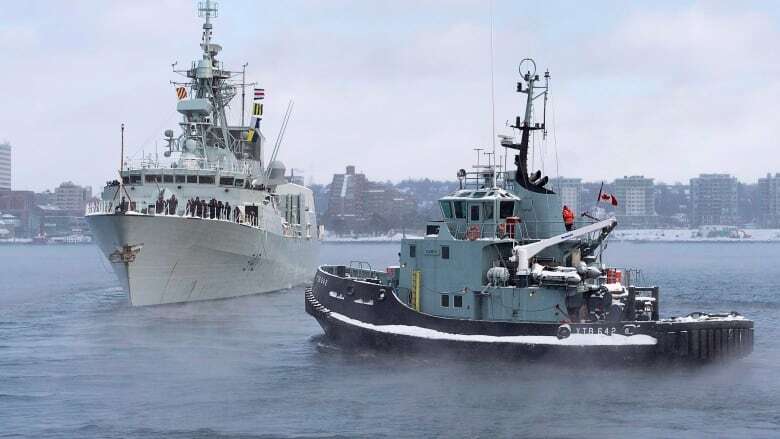 An internal National Defence report, released to CBC News last spring, blamed the build-up of potentially hazardous mould aboard the frigates on a lack of upkeep by the navy. The engineering analysis — which was obtained under access to information law after a battle of almost two years — said shipboard heating and air conditioning structures (HVAC) and their associated controls were allowed to deteriorate over the years, to the point where they became almost useless. CBC News first reported on the spread of mould aboard warships, and attempts to counter it, in the summer of 2016. The navy has conducted a series of air-quality tests aboard the frigates and the results from one warship showed unacceptable levels of mould in at least three ships' compartments. Veterans Affairs recognized Doucette's hyperactive airway disorder was brought on by exposure during his service to toxic substances, including mould and possibly including diesel fumes. In his ruling, the federal judge said the former sailor was covered by existing legislation and had been compensated. But Murphy said his client's case is different. When soldiers sign on for the so-called 'unlimited liability' — laying down their lives for their country — it doesn't include systemic negligence, he said. "Going to war and being killed in action is something that is expected. If you fall down on a ship, that is expected," he said. "But the blatant disregard of contaminated ships and the lying and deceit … it's different. It's malicious. It's devious." The navy has denied repeatedly that it was negligent and has insisted its maintenance procedures were not lax, saying it always does its "due diligence" and carries out necessary repairs. It also has started a series of engineering fixes on each of the frigates to address high humidity levels and inadequate ventilation. Part of the plan is a program to swap out the thermostats on each of the warships. High humidity and poor air flow have been blamed for the mould buildup. The military's environmental services section has conducted preventative health inspections and issued mould cleaning guidelines for the frigates.